SAMET, one of the largest manufacturers of furniture accessories in the world, enters the U.S. market from Europe. Turkey’s leading brand will attend the AWFS®Fair known as the industry’s innovation marketplace, on August 22-25 in Atlanta to showcase its New innovative slide system ‘Smart Slide FF’ and their New soft close and self closing Compact face frame hinges specially designed for U.S market. In Europe, SAMET has already proven its global expertise in making a difference in all living spaces through its products that deliver seamless design and functionality. 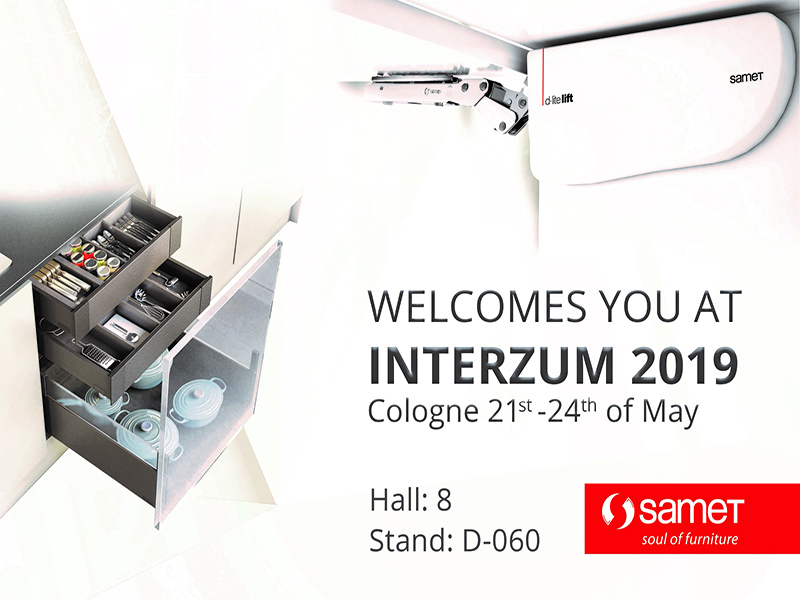 With its ‘Innovation World’, which includes the IF Design 2016 awarded to Samet products like; Alpha Box and Smart Flow drawer systems, the D-Lite lift-up door system, and its new generation hinge system, Master, SAMET attracted the attention of the international furniture industry. 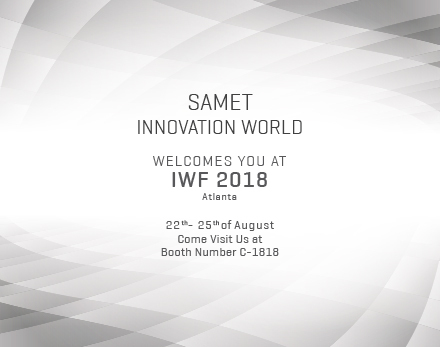 During the IWF Atlanta fair, which brings the entire global industry together for an in-depth review of the new developments and advances that are driving the market, European brand SAMET will present their New Smart Slide FF system and their New soft close and self closing Compact face frame hinges to the fair visitors in its booth numbered C-1818. Leveraging its innovation power to provide comfortable solutions for silence and smoothness on slide systems, SAMET offers a wide range of possibilities either in building a kitchen, a bathroom, or a custom closet system with the Smart Slide FF system. Developed by SAMET R&D engineers with feather light movement and a smooth soft closing system for fast, safe and easy installations. The full extension slides are designed exclusively for overlay and inset applications. With its quality and excellence in features, Smart Slide FF slides arrive to inspire advanced design and meet the highest expectations.